Elizabeth Morland realised she was pretty good at athletics from an early age. The 20-year-old St. Pat's student first went down to Cushinstown Athletics Club as an eight-year-old and took to the sport almost immediately. 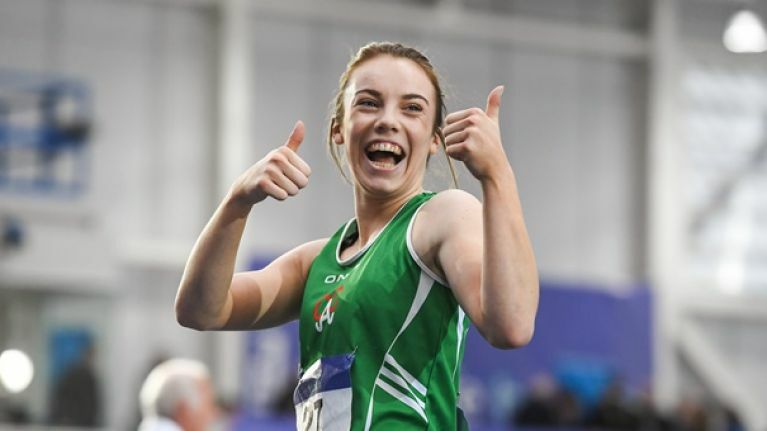 She tried her hand at most events, like most kids starting athletics tend to do, but she was good, good at a lot of the events that she tried, and now as an Irish representative competing in Europe, she's only gotten better. 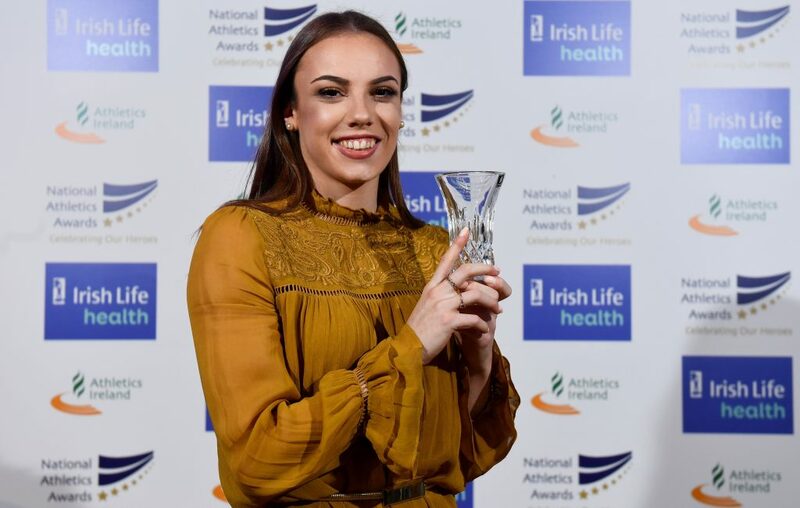 In November last year, Morland won the University Athlete of the Year award at the Irish Life Health National Athletics Awards. "When I was young I just enjoyed it so much. "I just enjoyed all these different events. Of course I had my weaker ones, but I still like to do all the other events. Instead of focusing on one, why not do all the events? I was 15 when I won my first heptathlon and I loved it. "You have to enjoy it because you have to put so much time and effort into different events but when I first put on that Irish vest, I was 13 or 14 at a schools event.... and that was the best day of my life. "Your representing your country and it's such a big deal. It really is. It's a massive deal for anyone that puts on an Irish top. I was posting it everywhere on social media. 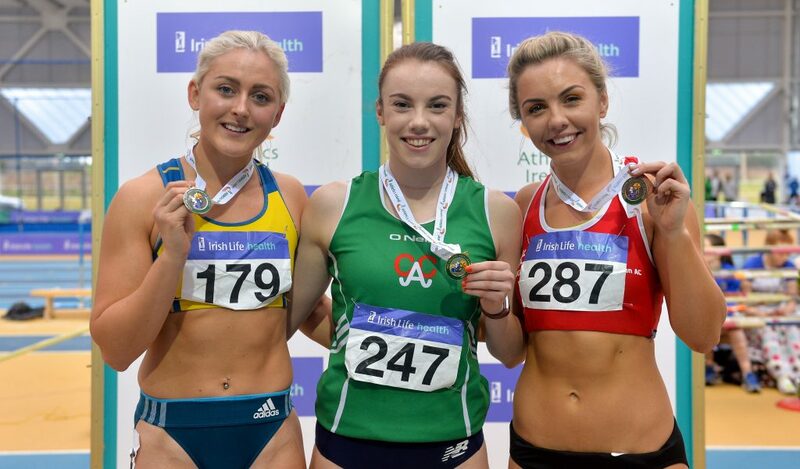 I was representing Ireland, I came second, and who would have known that five years later I would come fifth in Europe and have both the Irish junior and senior records." Morland excelled from an early age in athletics but it was often the hurdles away from the track that proved as difficult as anything that she encountered during competition. As a young woman on the younger side of the millennial spectrum, social media has very much had an active presence in her life, but just as it can be used to highlight achievement, national representation and everything good in our lives, it can also be used to denigrate and demoralise. "I stopped using social media when I was at the European juniors in Tenerife [in 2017]," she admits. "I flew out and the first day I had it but on the second day I deleted all of it because I said to myself I'm here to do what I need to do. I didn't need any distractions and I performed better than I ever had before. From that point on I just decided to switch it off at big events. "My mam would text me but I wouldn't see it until afterwards. She would always text me no matter what competition it is. No matter how good I was, or no matter how gutted or disappointed I was, she would always text me. Same with my dad and my family. They're all supportive and it's extremely important to have that. "In 2016 I had a bad experience with negativity online. I was reading about myself and there will always be negative people saying negative things about you somewhere. I got negativity from other athletes so ever since then I've just been completely blocking it out when I need to. "I was young, but it still stays with me. I said to myself if they think that about me well then I'm going to go show them how wrong they are. I never thought I would have experienced it but I did and it hurt. I had the worst competition, not because of that, but I just wasn't in the right mindset and I got injured. It was at the world juniors two years ago and I had to drop out due to injury. It was just a bad experience altogether. "I delete it all now. I don't care if it's positive or negative. I'll deal with all that when I'm finished." A final year education student, Morland is currently finishing off her thesis and looks forward to completing her degree so she can focus more on her athletics. As well as battling the perils of social media, she has had to contend with her friends enjoying the social aspect of college and everything that Dublin nightlife has to offer a student. Athlete of the Year and European bronze medalist Thomas Barr encountered similar issues during his college days at the University of Limerick and he nearly gave up hurdles as a result. He stayed the course and ultimately reaped some tremendous benefits but what keeps Morland going? Why does she train six days a week, sometimes twice a day? What does she get out of it? "When I was younger I didn't know what I was capable of doing," she reflects. "I was in second year of school when I first represented Ireland. It's such a massive honour and it's not something that many people can say they have done. "You look at the soccer, anyone that makes that team is the best of the best and it definitely is the same with all of our squads and I don't think people understand just how great putting on that Irish vest is. "You have to work so hard to get there. Not everyone just gets to put on a vest or an Irish jersey. Knowing all your sweat, your hard work, your tears and your unbelievably tough sessions are worth it because you get to put on that green vest. That makes it all worth it." 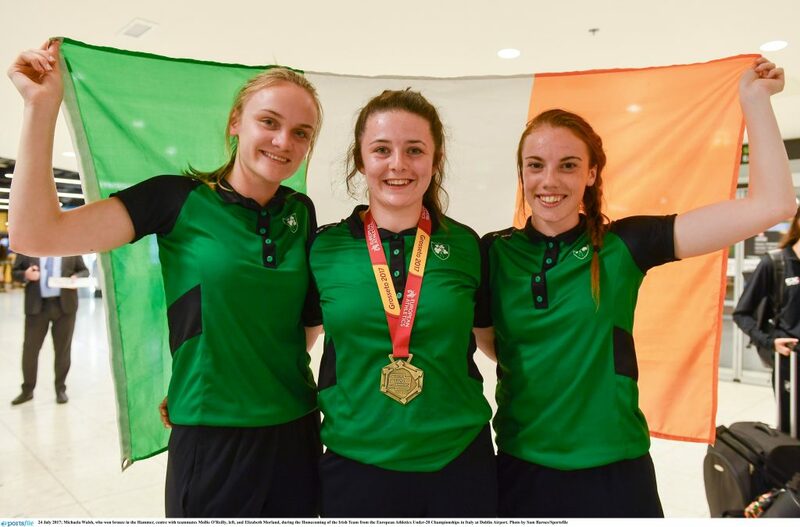 With both Irish junior and senior records to her name, and the European championships in her sights next summer, Morland will be wearing the green proudly next year. And for her it's a price worth paying. 20x20 is an ambitious two-year long initiative to better promote and champion women in sport. And at Maximum Media, we're proud that Her and SportsJOE is backing the 20X20 movement as official digital media partners.